Fida Abbott's Books: What I Thought About "Light for the Writer's Soul"? 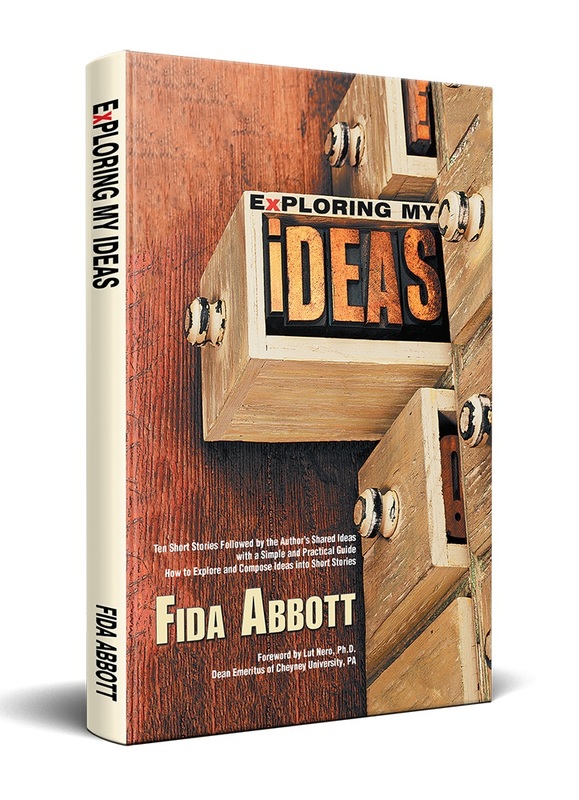 A place where you can find all of Fida Abbott's published books. You have participated to support Unreached Children Program, Cancer and Cystic Fibrosis Research by purchasing her books. - in Ingram's ipage ordering for retailers and libraries (Ingram is the world's largest wholesaler and distributor of books. What I Thought About "Light for the Writer's Soul"? I got this book as a gift from Yunita Phillips who lives in Ohio. She is one of eighty contributing writers of this book. She is one of the authors who I know well continuously supports me in several ways to keep me motivated in writing. She also used to send me books that can enrich me as an author/a writer through widely information, knowledge, other authors' experiences. I appreciate her efforts, support, and strong friendship built among us. That shows us how the authors should be to support each other. Counting me to this point, I'm one of this writer's category: facing temptations that I was not able to run away from it but had to face it, and of course, it would influence me in my writing process. 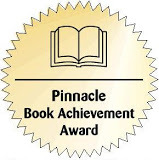 I felt bad every time knowing my readers could not wait to read my second book of Enthusiasm Saga. Yes, I delayed in several years due of life circumstances I could not avoid. But the good things, through this process, He had sharpened my writing skills in some ways and gave the opportunities to enrich the ideas I would bring to complete that book to satisfy the readers' minds. That's true. I myself have experienced it. 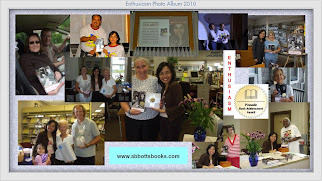 My book, Enthusiasm/Antusiasme (in Indonesian version) have become blessing to many readers. I even never thought about it. I just followed my heart to keep writing that book until finished and ready to be published. The rest of it, I saw how God worked beautifully so Enthusiasm arrived in the right hand of one of Indonesian Christian Publishers. Amazingly, it reached the readers with variety of religions. How could that happen? The answer is: Nothing impossible in God's hand. As I'm a main character in my book, Enthusiasm, He had developed me through His knitting. How I could bring God News if I never experienced it before? Through the pause period, He had worked to develop the main character--me. As my readers can't wait to read my second book of Enthusiasm Saga, I'm as its author, can't wait either to finish writing this book. Christian writers from around the globe have contributed to this exciting journal. 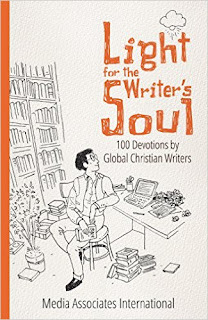 Containing 100 devotional articles by 80 contributing writers from 27 countries, this book aims to inspire and encourage Christian writers to harness their gifts and keep writing for God. MAI hopes their words will make a difference in the hearts and minds of their readers. MAI equips and nurtures talented men and women with a passion for producing Christian literature for their own people. Since its founding in 1985, MAI has equipped local Christians in 79 countries on five continents, with 7,905 people trained. As a result, they have seen budding writers developed, publishing houses grown, periodicals begun and books and magazine produced that speak to the hearts of readers in their own languages. MAI advances the Gospel by training Christians to produce literature that nurtures the church and attracts readers to Christ. They believe God uses the written word to transform lives. Fida R. Abbott was born and raised in Indonesia, married to an American, and lives in Pennsylvania. She is a Director of the Online Writing Course (PMOH), www.pelatihanmenulis.com, as well as at KabarIndonesia, an online Indonesian news, based on the citizen reporter. 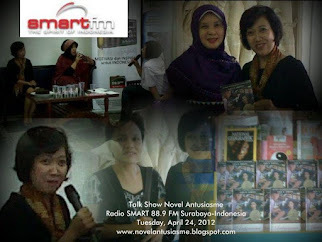 Mbak Fida, thank you for sharing your thoughts on the book "Light for the Writers' Soul". I am glad that you got encouragements from the devotionals on that book. It is true that as writers we need to encourage to one another so that we all together will keep writing the Good News as God has called us to that and He equip us. You're welcome Mbak Yunita. So glad I have finished reading this book and wrote what I thought. Thank you for the present. The Readers of Novel "Enthusiasm"
It contains information about all Fida Abbott's published stuffs that are available to order them online.